Premium Times Centre for Investigative Journalism (PTCIJ) on Monday begins a week-long investigative journalism and fact-checking training for journalists especially the judiciary correspondents in Nigeria. 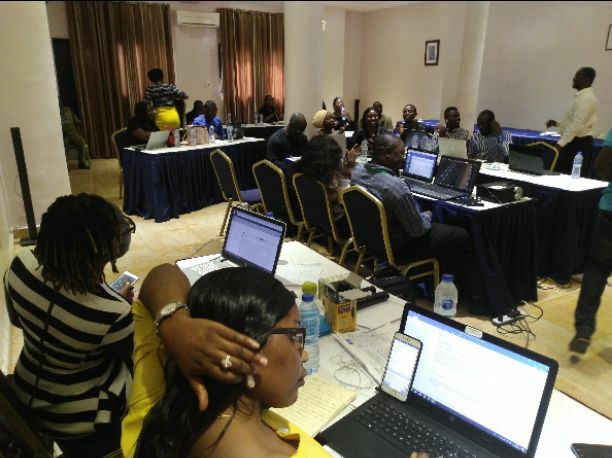 The training, which aimed at checkmate issue of fake news by way of authenticating or debunking a claim through fact-checking, currently ongoing at a hotel in Abuja, is scheduled to hold between Monday, March 25 to Saturday, March 30. In an address, Programme Manager Advocacy, PTCIJ, Mboho Enough said, the centre is collaborating with British Council to implement the European Union’s sponsored Rule of Law and Anti-Corruption (ROLAC) project. He however called on the participants to take all the sessions seriously with a possibility of stepping down the training to other colleagues in their respective locations. According to him, the 20 participanting journalists were carefully drawn from Kaduna and Niger States as well as Abuja the Federal Capital Territory. Taking the participants through the rudiments of accountability journalism, one of the resource persons, Akintunde Babatunde highlighted three core elements of journalism which included the fact that, it’s claim must be truthful and accurate, its discipline must be rooted in verification and the practitioners must be independent and be accountable to their readers/viewers/readers. A communication expert, Gbenga Ogunleye, restated that, the training was to showcase the importance of journalism and the need to fact-check where necessary to guide against dishing out misleading information to the public who process such information to make an informed decision. Discussing the misinformation ecosystem; rumours, hoaxes, propaganda, he noted that, the ease of publishing on the internet, the rise of social media memes, the increase in campaign rethoric and advertising are threats to factual reportage in this technology age.